For a lot of North Carolina chess families, this past weekend was action-packed. 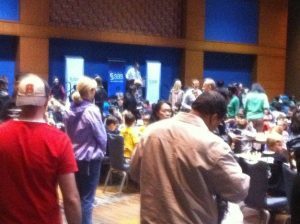 It was the 40th North Carolina K-12 Chess Championship, a three day event hosted by Chess Achieves and sponsored by SAS. Many families drove in on Friday from as far away as the mountains in the west and the beaches in the east. Triangle area chess families didn’t need the downtown Raleigh hotel rooms, but they did need to battle for parking with all the families coming to the big Lego event in the bottom level of the Raleigh Convention Center. Bill Clausen of Chess Achieves has the rare talent to get the players, as well as their parents and coaches, under control. The grown-ups were shown the door, and the big ballroom doors were shut behind them. Bill said go, and then the decibel level of Grand Central Station dropped and dropped and dropped… to near silence. The 12,440 square foot ballroom was filled with youngsters, but the only sounds to be heard were the tapping of hundreds of chess clocks. The largest chess tournament in the history of North Carolina had begun. The older players chose their openings – the Sicilian Dragon. The Grand Prix. The Fried Liver Attack. One of the many king or queen gambit openings, or one of the hypermodern openings. Downstairs in a smaller, sunlit room, Rudy Abate, President of the North Carolina Chess Association, expertly presided over the K-1 players. In the age of the iPad, some of these digital natives were more knowledgeable and experienced with chess than their parents. But playing the computer isn’t enough, as I’ve witnessed at my son’s elementary school chess club. The real draw is competitive over-the-board play. The computer isn’t a substitute for that, and you don’t earn a trophy and a superior U.S. Chess Federation(USCF) rating sitting at home messing around with a tablet. Some of the orthodox openings that this weekend’s more advanced players deployed date back to the 1400's. The second book ever printed in the English language was about chess. It is a pre-modern game that is deterministic – it has no aspect of randomness. That teaches responsibility. And unless you’re world champion Magnus Carlsen,the top rated player in the world, there is always someone with a higher rating. That teaches humility. With so many lessons to teach, it’s no surprise that scholastic chess is growing. The first-time kindergartners walked out of the tournament Sunday night on the same rating scale as Magnus – they are now tournament chess players. As chess players, they also are more likely to succeed in Science, Technology, Engineering and Mathematics education – STEM education. Scholastic chess helps improve concentration, develops logical and critical thinking, promotes creative problem solving and rewards hard work. These skills are invaluable to STEM education and the economy of the future. SAS Sr. VP of R&D Armistead Sapp agrees: "I learned to play chess in 3th grade, and from my love of chess I found Martin Gardner in Scientific American. His Mathematical Games column led me to BASIC programming in the 6th grade and to a Bell Labs Computer Club in Greensboro where they had computers that ran BASIC and C. Chess was a gateway to STEM for me. We need more of that." On Sunday night, we presented the trophies to the 2014 North Carolina K-8 co-champions, Emmanuel Carter and Ishaan Maitra, and the K-12 co-champions, Aaron Balleisen and Tian-Shun Allan Jiang. Please join me in congratulating the champions and encouraging and recognizing all of the young chess players that you know – it really will make a difference for them, STEM education and the future for all of us. 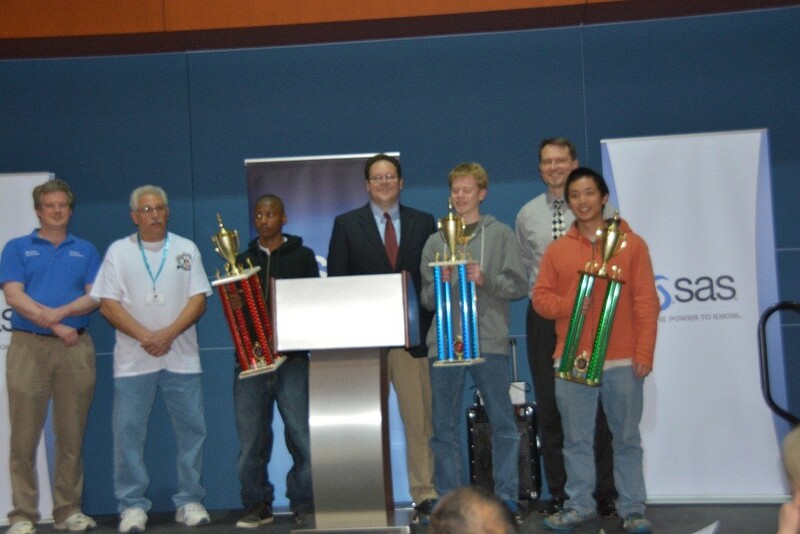 Left to right: Jonathan Schroer, top rated player in North Carolina and Head of School at The New School Montessori Center in Holly Springs, NC; Rudy Abate, President of the North Carolina Chess Association; Emmanuel Carter, 2014 NC K-8 Chess Co-champion; Michael Thomas, Software Architect, SAS; Aaron Balleisen, 2014 NC K-12 Chess Co-champion; Bill Clausen, Executive Director, Chess Achieves and tournament organizer; Tian-Shun Allan Jiang, 2014 NC K-12 chess co-champion. We are smiling through and through! We have a strong chess environment and look forward to the growth of chess in our great state of NC. 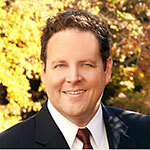 Bill does a great job organizing his tournaments. 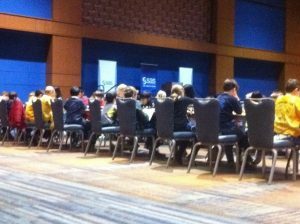 It is fantastic that SAS is on board helping to advance Scholastic chess in N.C.
Responsibility, humility, concentration, thinking skills, creativity, and success in STEM -- chess has so many benefits for youngsters, it should be required in schools. 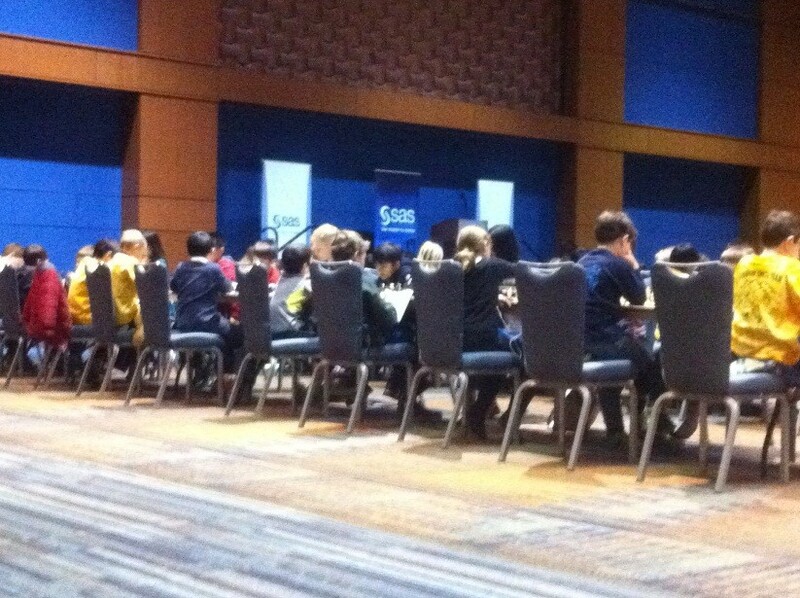 Kudos to SAS for having the vision and generosity to support the NC K-12 Chess Championship. Thrilling to see such a wonderful activity hosted and sponsored by SAS and thanks to Michael Thomas for a grand report! Way to give back to the community, Mike! Atticus has been training for the NC Science Olympiad coming up this weekend. These types of programs really provide a framework for curiosity and learning to flourish. Congratulations from your proud father. Thanks for the insightful article, and thanks for sponsoring this important scholastic tournament! I agree that Mr. Clausen did a great job of managing the tournament. Thanks again. your feed to keeep updated with forthcoming post. Thanks a milllion and please carry on the rewarding work.